In China two different types of swords with a straight blade were used. The first type, the wu jian, was very heavy and long. As a result it has some limitations in its flexibility and speed. 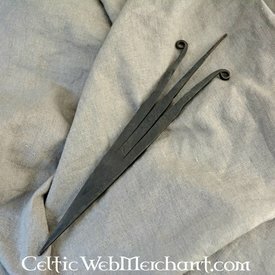 The second type, the wen jian, is easier to use. 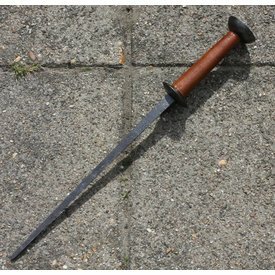 This sword was mainly used for self-defense. 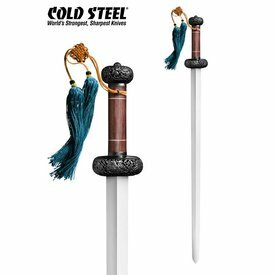 This wen jian or grim sword is made by Cold Steel. 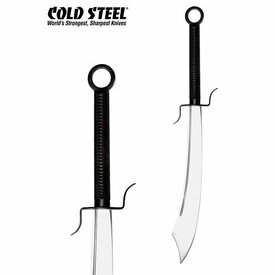 The blade of this weapon is made of 1055 carbon steel and is razor sharp. 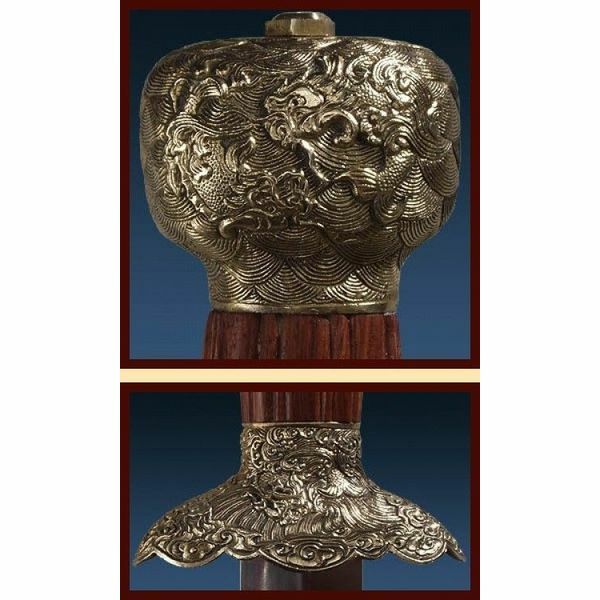 The grip and pommel are made of rosewood and thick brass. The grip is both functional and very decorative. This sword is delivered including a decorated wooden scabbard. 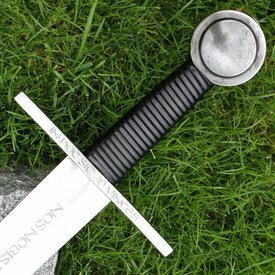 The scabbard can be attached to the belt or worn on the back. 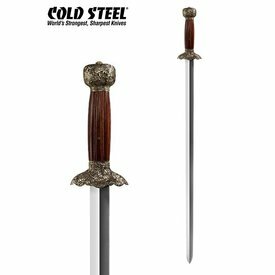 The sword has a length of 95 cm with a blade of 76,2 cm and a thickness of 0,64 mm. The grip has a length of 18,5 cm.